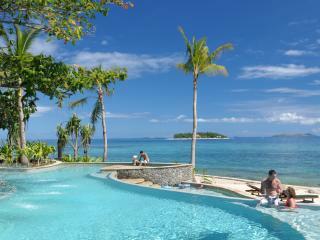 Catering to the thrill seekers and poolside sleepers, Fiji is a holidaymakers paradise. Choose between an outstanding array of accommodation across the archipelago. Whether you find bliss in dreamy all-inclusive resorts or you have grand underwater plans, Fiji will deliver. Choose between expansive resort accommodation, intimate villas and traditional bures, whether you're a family or a couple seeking a tropical escape, there's something here for you. 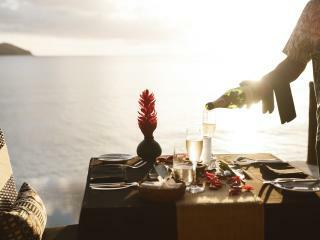 Search by location, popularity and style across our comprehensive selection of Fiji hotels and specials. Search for your dream accommodation according to price, location and star rating. Use our location map to refine your pursuit. Categorised by destination, search our complete list of Fiji accommodation wherever you plan to enjoy your tropical experience. Just started planning your Fiji holiday? Take a look through our top 10 most popular Fiji resorts as indicated by our customers. Make the most of your island escape and have a look at our exclusive holiday packages, bundling travel essentials to save on time and money.